The Loudoun Laurels Foundation is welcoming nominations from the public for its 2019 program honoring community service. 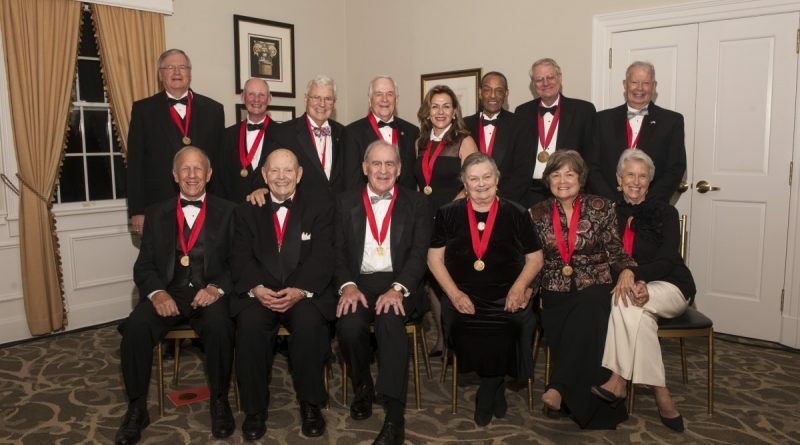 Nominees for the Loudoun Laurels Laureates must meet high standards of selflessness, integrity, creativity, wisdom and courage. Qualified nominees will have a recognized legacy of service to the Loudoun community. Their service should include organizational leadership or service in a capacity in which they make major contributions to the work of the organization or group, volunteering their time and talents in a manner that benefits Loudoun County, and enriching the broader Loudoun County community. A nominee’s vocational service may be considered among their attributes. The Loudoun Laurels Foundation is committed to honoring exceptional community service for the benefit of Loudoun County residents and to developing future civic leaders through scholarships and mentorships. Since 2008, the foundation has recognized more than two dozen individuals for their dedication to community service, while also presenting college scholarships to Loudoun students. Last year’s honorees were Karen and Fred Schaufeld and Alfred P. Van Huyck. The deadline for nominations is June 3. For details, go to loudounlaurels.org/about/nominate-a-laureate.